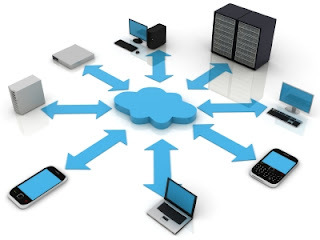 Cloud computing began with cloud email services, such as Hotmail, though it is said that its growth was driven by the need to utilise excess data centre capacity left by the bursting of the dot-com bubble and that Amazon, with its 2006 launch of AWS, was an important pioneer. Certainly that was an important event, but the real driver of cloud computing was far more than that. Pragmatically, cloud computing might simply be a set of virtual servers in the sky which are available over the internet, but it may also be considered to have an altogether more powerful ethos in which hidden synergies are exploited to create new ways of doing things that couldn’t be done before and, potentially even more importantly than doing old things in new ways, discovering new things to do. Software as a Service: This gives clients access to computer applications via their browsers. The client does not need to invest in servers and software and, from a provider business model perspective, costs are relatively low. Utility computing: This refers to the provision of storage and virtual servers are accessible on demand. Cloud-based web services: These are similar to software as a service. Here APIs are supplied to developers by web service providers that enable them to develop and exploit functionality without the need to create full-blown applications. Platform as a service: This is a variant of software as a service. It provides a development environment on which developers can use the provider's infrastructure to build applications which are delivered to users via the provider's servers. Managed service providers: These offer services to organisations such as spam filtering, virus scanning and email management. Service commerce platforms: These combine software as a service and managed service provision to create a service hub. Internet integration: Here the aim is to integrate cloud-based services into a coordinated entity. Over recent years, each of these has been developed to very high levels of sophistication, and the many new ways of doing things that we now have make many things in our lives easier, more efficient and more cost effective. We are also discovering new things to do. Through cloud computing services we are creating and accumulating previously unprecedented quantities of information, and we are discovering new ways of utilising this information to make new discoveries about our world and the people who inhabit it.